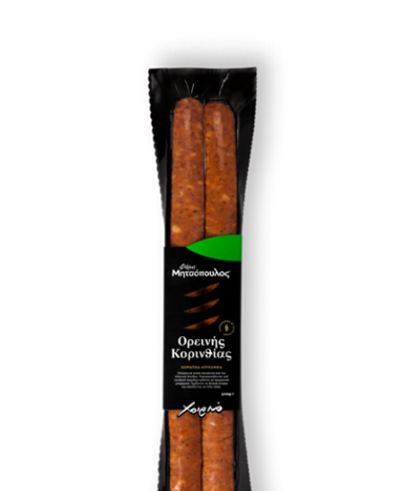 Country Pork Sausages "Oreinis Korinthias"
Rich in flavor smoked pork sausages from greek countryside. 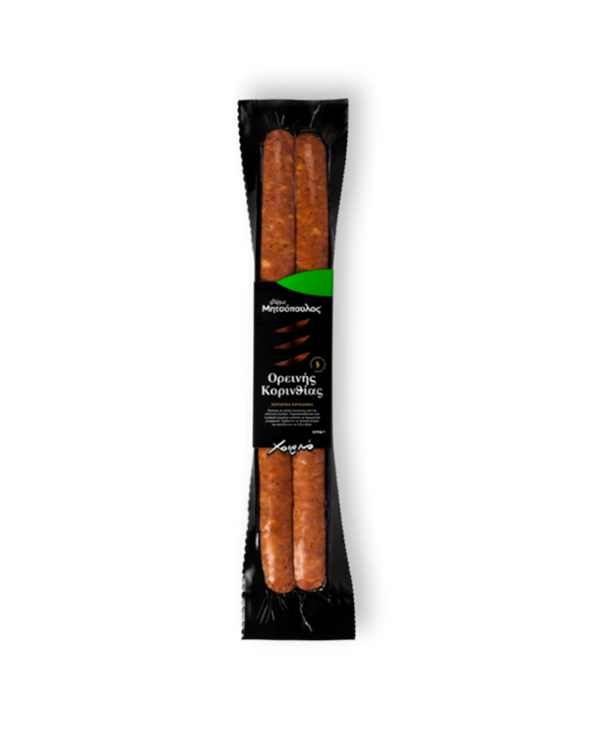 Selected pieces of tender pork meat with aromatic seasoning are filled in natural intestine and finally smoked with timber of beech. Our products come in fresh condition. Storage- distribution: fresh meat 0-4⁰C. Grill the sausages without piercing them for 5'.